In a late night development, top Gujarat Dalit rights leader Jignesh declared he was “canceling” his highly-publicized rail roko (block the trains) agitation, which was to begin on October 1 at 10 am, at Maninagar, former state assembly constituency of Prime Minister Narendra Modi in Ahmedabad. Chain pulling was going to be one of the programmes of the rail roko. 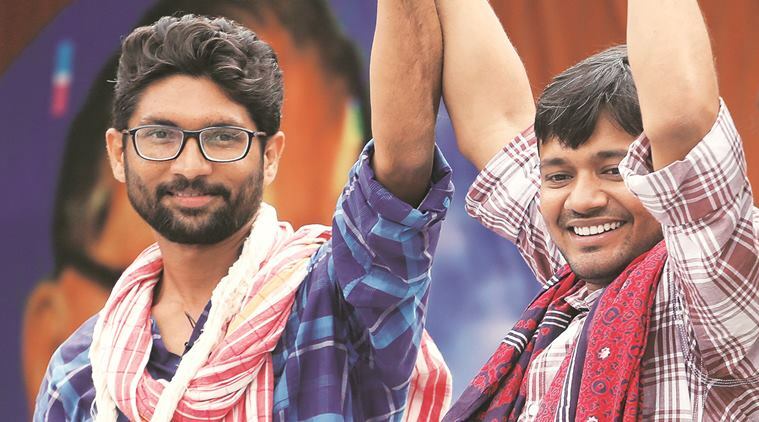 Earlier, in an effort to make the rail roko national, Mevani had announced that those who would participate would include Jawaharlal Nehru University students' leader Kanhaiya Kumar, Gandhian academic and Magsaysay awardee Sandip Pandey, film maker Anand Patwardhan, right to information activist and Magsaysay awardee Nikhil Dey, and Dalit rights scholar Dr Anand Teltumbde. Rashtriya Dalit Adhikar Manch (RDAM), under whose banner the rail roko was to be organized, in a separate statement claimed that the state government had become “soft” to its demands and agreed to hold discussions on them following “long talks” with the government, the rail roko was being taken back.” RDAM added, the decision to withdraw the agitation had been taken “against the backdrop of high alert in the country”. Interestingly, Pratik Sinha, the closest associate of Mevani, without once recalling “high alert”, said, following “conversation” with the government, RDAM was calling off rail roko “for now” following the state government “initiated contact with the conveners of RDAM this evening”. “After three mega conventions (of Dalits), a 10-day march and numerous detentions, the government has not even once shown any sign of dialogue”, he had added. Mevani announced his decision to make rail roko a national event on September 6, at a rally at Jantar Mantar, where, among others, CPI-M general secretary Sitaram Yechury and Dr BR Ambedkar's grandson Prakash Ambedkar, currently Republican Party of India leader, were present.